In 2009, the Native American Journalists Association (NAJA) honored Minnie Eder Two Shoes of Fort Peck with an award for journalistic excellence. A cofounder of the association, Two Shoes was known for her journalistic integrity and her hallmark sense of humor. Two Shoes worked as writer, assistant editor, and columnist for the Wotanin Wowapi of Poplar. She served as an editor for Native Peoples; as an editor, writer, and producer for Aboriginal Voices, a Canadian magazine and radio show; and as a contributor to News from Indian Country. As a journalist, she helped reinvestigate the 1975 murder of AIM member Anna Mae Aquash. Throughout her career, Two Shoes blended humor with serious inquiry into matters affecting Indian Country. The American Association of University Women has always aspired to the promotion of women as fully contributing, educated members of society. Until the 1960s, this organization of female college graduates remained largely apolitical. At the division (state) level, Montana’s AAUW had created the highly successful AAUW Education Foundation to provide college fellowships for women, while local branches had focused primarily on community-building projects. However, the social, economic, and political changes during the 1960s and 1970s spurred a transformation in AAUW. “There are things to be done which money and men will never provide,” said one Montana member. 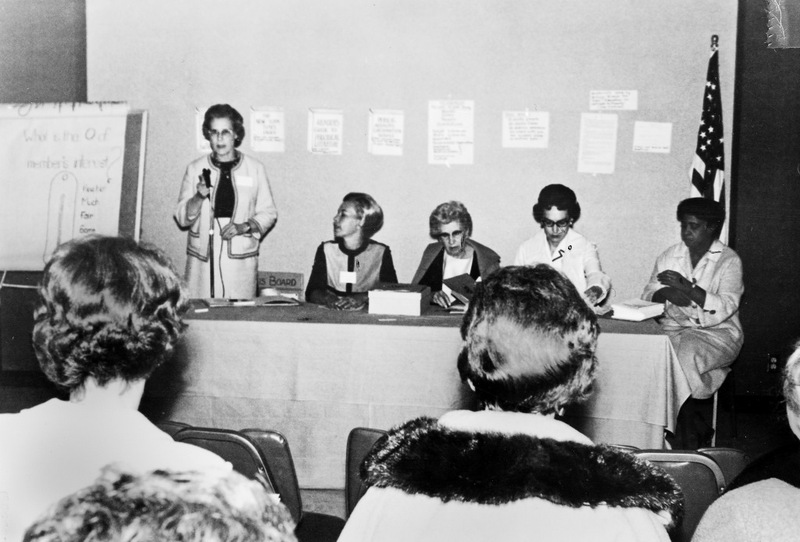 Under the leadership of courageous feminists, AAUW evolved into a prominent activist organization that brought women to the forefront of public policy making. 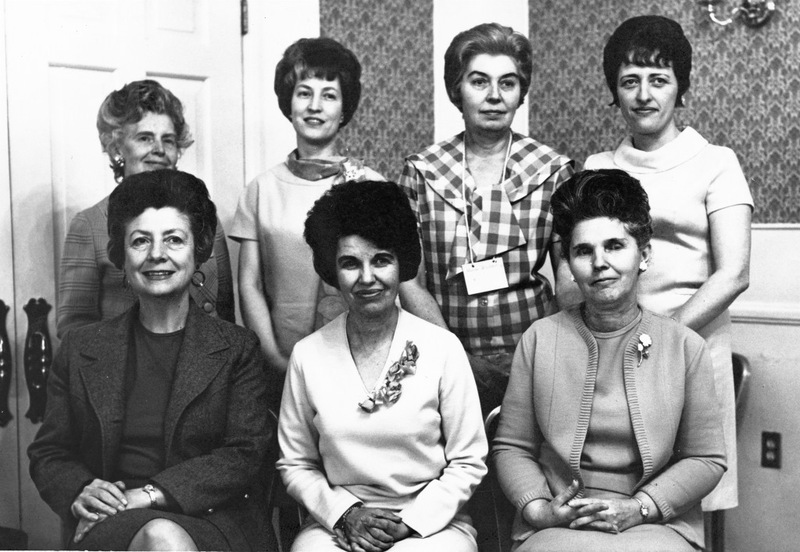 In 1960, most AAUW members were homemakers or held traditionally “female” occupations in teaching or clerical work. Few Montana women had attained professional careers or had advanced to leadership positions; fewer still worked in the public-policy arena. 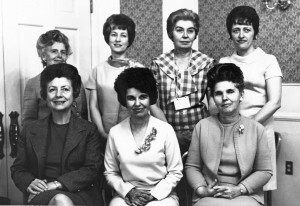 When Governor Tim Babcock created a state Commission on the Status of Women in 1965, AAUW seized the chance to initiate policy changes and secured the appointment of several of its members to the commission. Martha Edgerton came to Bannack as a teenager in 1863. As a teacher, musician, wife, mother of seven, clubwoman, and leader in the women’s suffrage movement, she successfully balanced traditional gender roles with an active public life. Widowed young, she entered the workforce, becoming the first woman editor of a Montana daily newspaper, a local and state leader in the Montana Socialist Party, and a prolific writer. Hers was a long life of striking achievements. Edgerton was thirteen when she arrived in Bannack in 1863 after her father was appointed governor of Idaho Territory. 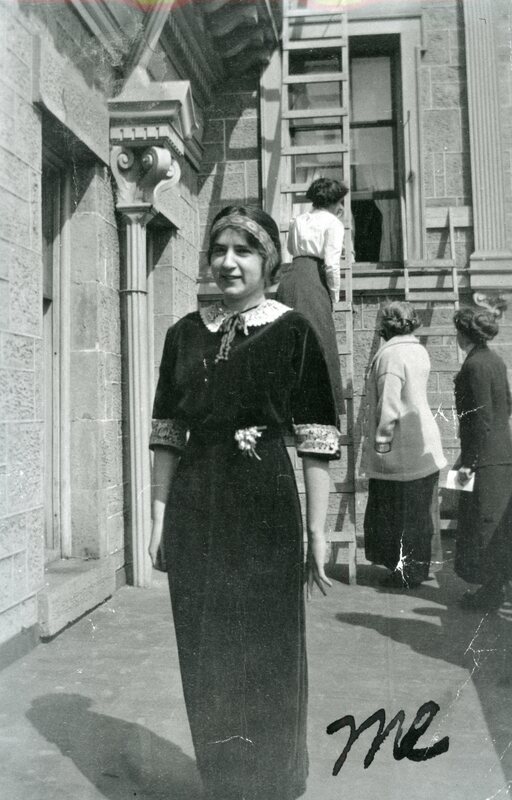 Two years later, the family returned to Ohio, and she subsequently enrolled at Oberlin College to study music. Later, while teaching at the Ohio Institute for the Blind in Columbus, she met and married Herbert P. Rolfe. In 1876, the couple moved to Helena, where Herbert became the superintendent of public schools. Herbert and Martha Rolfe were kindred spirits: passionate advocates for equality of African Americans, women’s suffrage, and the rights of the workingman. Their activism eventually took them to Great Falls, where, in 1884, the Rolfes took out a homestead right outside the city, which had been newly surveyed and platted by Herbert himself. Four years later, Herbert—long a Republican Party activist—established The Leader, a newspaper designed to counter the influence of Great Falls founder Paris Gibson’s Democratic Tribune. 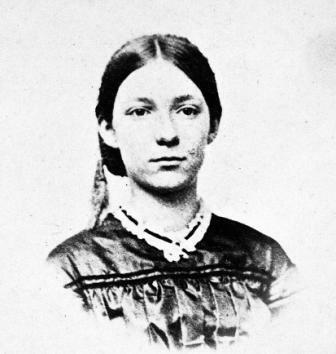 Though occupied with home-schooling the couple’s seven children, Martha also wrote for The Leader and stayed closely involved in her husband’s political crusades. The story of women’s military service during World War II is relatively well known; less familiar is the story of the women who served during World War I, sometimes on or near the front lines. During World War I, over twenty-five thousand women worked for American forces or support organizations in Europe. These women performed integral work and helped chip away at gender stereotypes, paving the way for the more famous WACs and WAVEs of World War II. Among those serving during World War I was Merle Egan of Helena, a telephone switchboard operator for the Army Signal Corps. 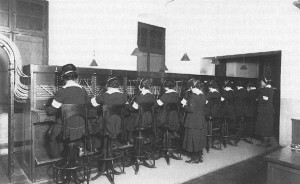 A vitally important technology to U.S. military operations, telephones allowed officers to communicate across battlefields, between dispersed units, and with other allied forces. Unfortunately, war had devastated the French telephone system, so in 1917, when the U.S. Army was building up its forces in France, Gen. John Pershing ordered the construction of an American telephone system throughout the country. Although the University of Montana began offering Women’s Studies classes in 1974, it did not become a formally recognized program until 1991. This logo was taken from its fall 1992 brochure. 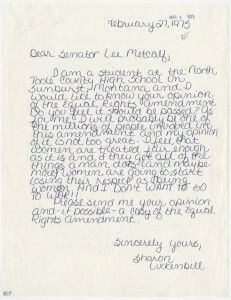 Photo courtesy of the Department of Women’s Studies Records (RG 87), Archives and Special Collections, Maureen and Mike Mansfield Library, The University of Montana–Missoula. 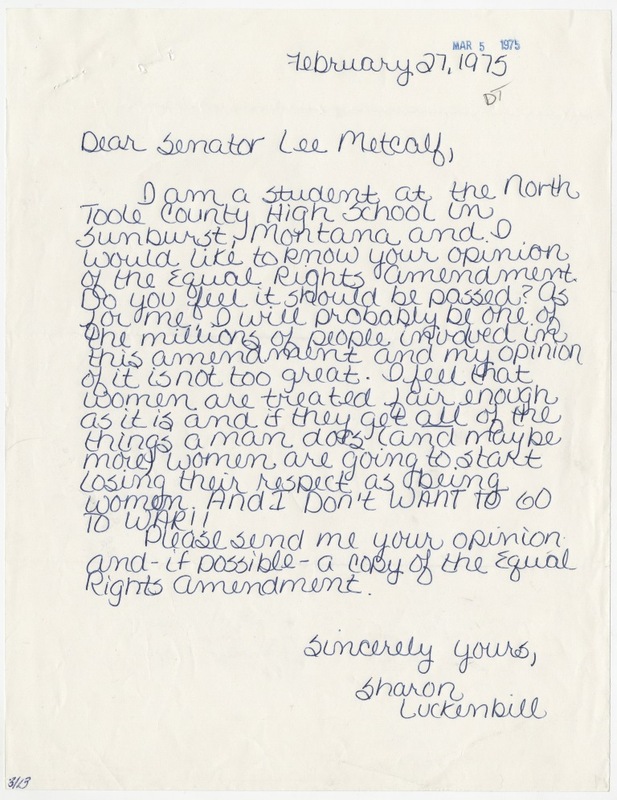 In the 1970s, women activists across the nation experienced growing dissatisfaction. As participants in the civil rights and antiwar movements, they had learned to question the status quo. Nevertheless, many of these women felt as if their own concerns—from unequal pay to sexual harassment to the lack of recognition for women’s contributions to social movements—went unnoticed. Eager to challenge gender discrimination, these women formed groups that would become the bedrock of Second Wave Feminism. In Missoula, Montana, one such group blended activism and scholarship to create the University of Montana’s Women’s Studies Program. Telling a young Blackfeet woman that she was “not capable” of understanding basic accounting may have been the most ridiculous thing the Bureau of Indian Affairs (BIA) ever did. The woman was Elouise Pepion Cobell, treasurer for the Blackfeet tribe and founder of the first American Indian-owned national bank. She became the lead plaintiff in Cobell v. Salazar, successfully suing the Department of the Interior (DOI) and the BIA on behalf of nearly half a million American Indians for mismanagement of trust funds. Born Denise Hortense Tolan in Anaconda in 1909, Sister Providencia is pictured here in 1980, after years of working in collaboration with Affiliated Tribes of the Northwest, the National Congress of American Indians, and other Indian-led organizations to advance the cause of Indian people. 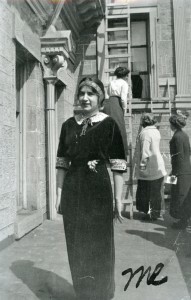 Photo courtesy Providence Archives, Seattle, Washington. 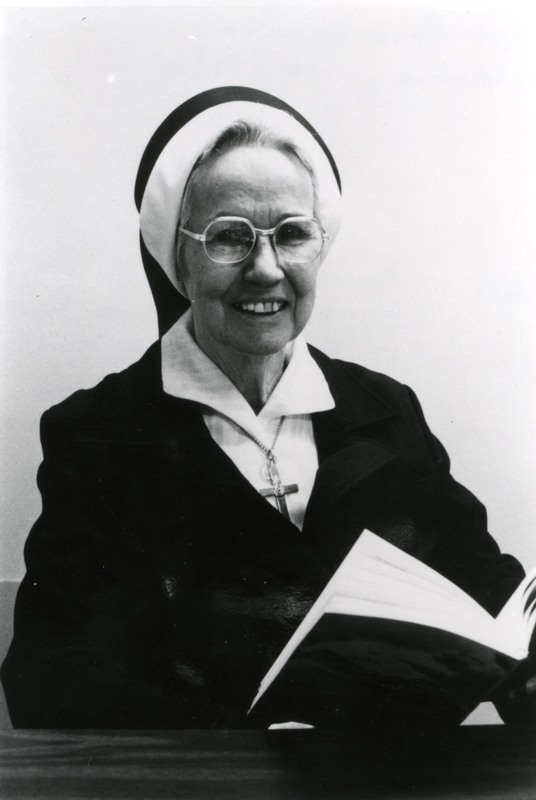 In 1952, a nun teaching sociology at the College of Great Falls committed herself to alleviating poverty among the city’s Indians. What began as an effort to solve a local problem grew into a twenty-year crusade on behalf of all American Indians, taking Sister Providencia Tolan from Great Falls to Congress. In the process, she collaborated with charitable organizations and Indian advocates to change the course of federal Indian policy. Great Falls’ Indian residents lived primarily in makeshift communities like Hill 57 on the edge of town. Their overcrowded shacks lacked utilities. Many were unskilled, undereducated seasonal laborers who struggled to provide for their families. For years, concerned citizens donated necessities to provide stopgap assistance. While supporting these efforts, Sister Providencia also approached the matter as a sociologist: studying the problem, ascertaining its root causes, and advocating social and political solutions. One cause of the urban Indians’ plight was the matter of jurisdiction. The federal government denied responsibility for unenrolled, non-recognized, or off-reservation Indians. City, county, and state agencies frequently refused assistance out of the misconception that all Indians were wards of the federal government. Born to Mexican immigrants Petra Ortega and Fidencio Acebedo in 1922, Lula Martinez grew up in Butte but left as a teenager for agricultural work in the Pacific Northwest. She returned over forty years later to work on behalf of the city’s impoverished and unemployed. Her memories of her childhood in Butte reveal the complex racial dynamic that existed in the mining city in the early twentieth century, and her experiences as an ethnic minority instilled a lifelong commitment to community activism and female empowerment. In spite of this ethnic diversity, Martinez did encounter discrimination. 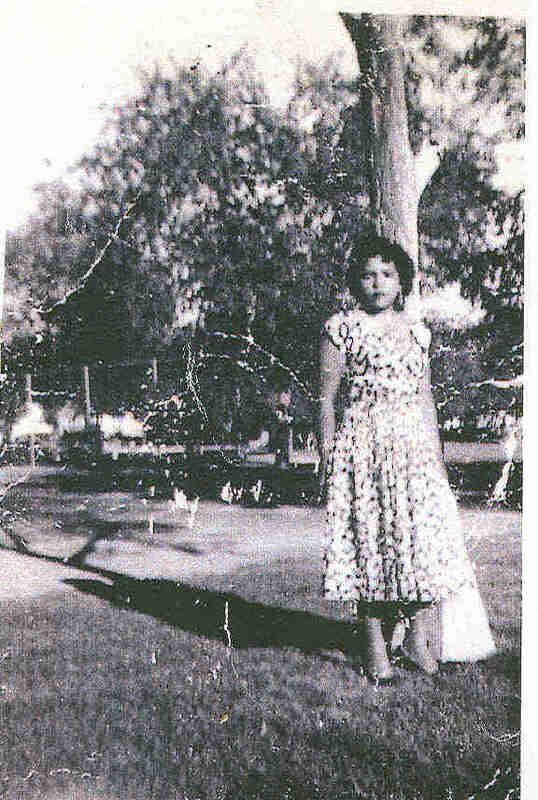 As she got older, and especially after she began to attend school, it became clear that she was trapped in a racial hierarchy that discriminated against Mexicans and Mexican Americans. She remembered, “As children we didn’t know there was a difference so we got along fine. It was when you’re . . . going to school when the teachers started to say, ‘well you gotta sit over there. All the Mexicans sit on that side.’ . 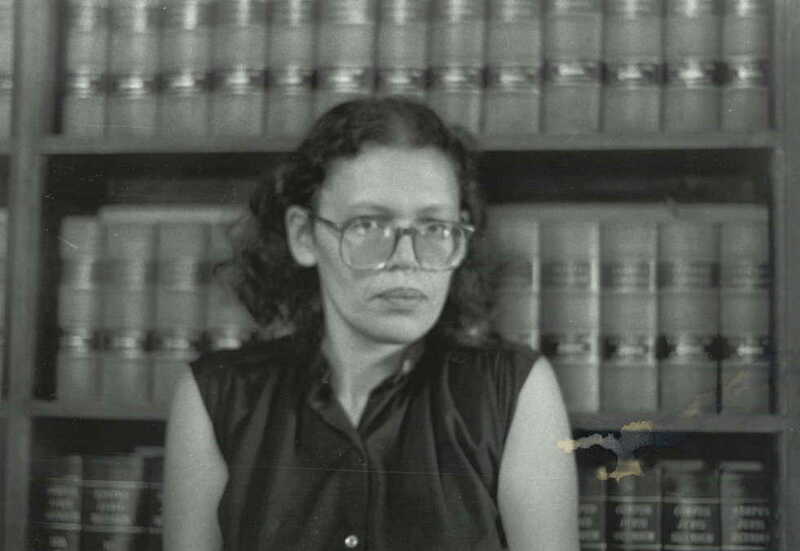 . . [A]nd then we found out that there was a difference.” Martinez’s encounters with racism in her childhood instilled a determination to work for social justice, but they also gave her a “hatred” of Butte that she carried with her into adulthood. When the U.S. Senate approved the Equal Rights Amendment (ERA) in March 1972, the next step—passage by two-thirds of state legislatures—seemed a formality. However, over the next decade, the battle over ratification of the Equal Rights Amendment revealed that America was still divided over equality between the sexes. In Montana the controversy over the ERA suggests equal unease.